April is Decorating Month- a time to celebrate creativity and the joy of decorating! QC Design School is thrilled to offer a fabulous promotion to help you hone your decorating skills and get inspired. 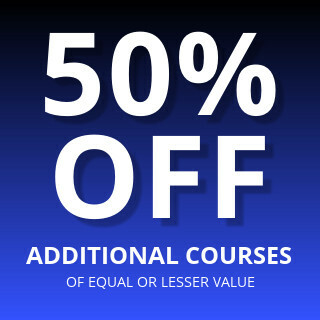 From now until Monday, May 1st, when you enroll in QC’s Interior Decorating Course and Professional Organizing Course (at a 50% discount), you will receive the Staging for Designers Course for FREE! Combine these two courses with Staging for Designers†—which gives you all the skills you need to stage homes successfully—and you will be ready for whatever challenge comes your way! †Staging for Designers is a shorter version of our Home Staging course. This course is perfect for students who have already mastered our interior decorating course, or have a basic knowledge in the design industry. When you graduate you’ll receive the International Staging and Redesign Professional (ISRP™) designation and a certificate of completion! This promotion is subject to change, alteration, or termination by QC Design School at its sole discretion at any time. Next PostQuiz—Which Home Design Profession Should You Choose?